The Scene DMV was able to chat with Singer/Songwriter Daryn Alexus about her DC upbringing, her thoughts on the state of R&B music and where her career is going next. Read the interview below. What is your singing background? Started in the church, trained, self taught? I did sing in the youth choir at church for a very brief moment, I was in choir in elementary through high school. But I would say majority of my background comes from me doing musicals growing up. I went to Duke Ellington, and arts high school, and studied voice and got three years of classical voice training that I don’t believe I took full advantage of but it definitely plays a huge part in my background as a singer. When did you first start recording and releasing your music? I didn’t start writing music until 2010 and I just experimented with remixing Nicki Minaj’s “Right Through Me” after I saw a good friend do the same to a few other well known songs. That really sparked the interest for me to try and write. February 14 2012 I released my first ever EP ‘Vintage Heart. Modern Love.’ and I’ve just been writing and recording ever since. Are you currently independent? If so, how is being an independent artist? Expensive! lol Yes I am independent! Everything thing I have and every thing I’ve done was done and paid for by me and my producer Dee Lilly. Money really becomes an issue, but it’s so worth it to me. When you think about the climate of the music industry today, being independent is seemingly the best and only way to be. What was it like juggling college and music? Wow, tough. Luckily I recently graduated in May, but while in school it was so hard. Trying to even just care about school. I only finished for my mom. But once I found music, I couldn’t focus as well on my work. I didn’t wanna do homework I wanted to write. I didn’t wanna do a paper I wanted to create. I did attend an arts college as well though, so for my electives I took all music classes which were amazing. What was the process in deciding the sound for VHML2? The precursor, VHML was the biggest deciding factor. That project was not only slower, but I didn’t feel like it accurately represented me as a person or artist. I wanted to be sure to create the kind of music I like to listen to. I wanted a lot more fun songs, a lot more upbeat songs without straying too far away from the part of me that loves ballads, and VHML2 emerged from that. 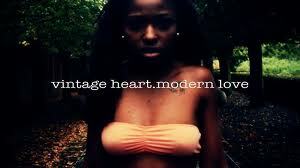 Vintage Heart, Modern Love is a great description. How and when did you come up with that? How did you meet Dee Lilly and what was it like working with them? Dee Lilly is my best friend in the world. I met him in high school, he wasn’t a producer yet, he actually sang as well. We ended up going to the same college after graduation and got super cool. around the same time I decided to try to write songs, I was on sound click and youtube looking for beats lol and he actually started producing. He always played piano but once he started producing tracks it was history from that point on. He’s great to work with because we’ve created a chemistry. We understand each others process. I’m not afraid to crack, or mess up, or sound a horrible around him and he’s not afraid to experiment with crazy sounds around me. We’re just completely comfortable because we created that space. How involved are you in the creative process of your music? I’m 100% involved from beginning to end. I’m there when every track is made,I write everything, I do all my own backing vocals. I’m in it from beginning to end. Only time I’m not present is during the mixing of the track. But if my engineer sends me a mixed track I always send suggestions for changes if necessary. How much influence does DC have in your music? Did you pick up anything during your time in Chicago music wise? I spent my entire life in DC. DC influences absolutely everything I do musically and non-musically. But I’ve definitely picked up a lot from being in Chicago because I’ve been here for son long, and my music life was born here. In chicago is where I began to explore myself as an artist. When I leave here, my next home will influence my music as well. What would you say to someone who thinks “real” R&B is dead? What are your thoughts on the current state of R&B music? I would be curious as to what they mean by ‘Real RnB’ I feel like music evolves just as humanity does. I believe that certain genres are being called RNB and its not, but because the artist is African American award shows categorize it as such. I personally love allllll music LITERALLY. And I feel like people can call their music whatever they want. If someone identifies as an RNB artist who am I to say if their expression of what they believe the genre to be is ‘Real’ or not. With a lot of popular artist like Beyonce, Rihanna it seems that the color of their skin has more to do with what category people put their music in as opposed to the actual music. Do you find that happens with you? Would you even define your music as R&B? Do you even like labels? Haha its so funny that I touched on this question before I even read it. But yea of course! Most definitely! To me, Adele could be considered an RNB artist given the style of music she writes, its rnb to me. But she, nor anyone else in the music industry, would dare identify her as an RNB artist. If i sang the EXACT SAME songs as she did EVERYONE would call me an RNB artist. But no, Adele is a ‘singer/songwriter.’ its funny actually. A lot of people considered me a neo-soul artist which is why i definitely wanted to do songs like ‘Twerk Sum’ and ‘If You Want Me To Stay.’ I definitely believe me being black and because VHML consisted of slower tempo’d songs, people automatically put me in the neo-soul box. I would define my music as RNB/POP if i had to. But like I said, I love All music, I sometimes want to do some rock, or alternative music. So no, I don’t really like labels or boxes of any kind. But the world would be so lost without their little boxes so what can you do lol. With the lyrics, do you focus more on being very open and personal with them or do you focus on songs that you feel a lot of people can relate to? The most relatable songs, are songs that are personal to the artist. When you write your story, you find that it’s not only yours, but soooo many others as well. When you sit down and try to say, “I’m going to write a song I think people will like and relate to” you find yourself in a epic fail lol. Every single song anyone writes relates to them in some form or fashion, and that goes for me as well. Where are you going from here with the release of VHML2? 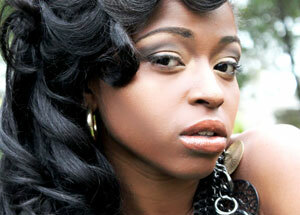 You touring, getting on the radio, what is Daryn Alexus’ next move? Soooooo many things in this industry takes lots and lots of money to execute, from here I plan on taking it day by day and just trying my best to spread my message. I have a lot of videos in the works and set to release in the next couple of months. I have quite a few shows coming up, but I wouldn’t call it a tour lol they’re all in the city of Chicago. But please believe my team and are exhausting all possibilities so we can be out here in these streets lol. This is the last question so I just wanna say thanks so much for taking the time to interview me and show interest in my movement and career. You are super super appreciated! 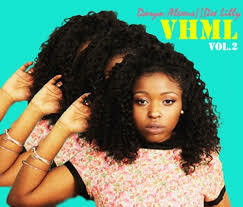 Tags: 2, chicago, daryn alexus, DC, heart, independent, love, modern, music, singer, songwriter, vintage. Bookmark the permalink.